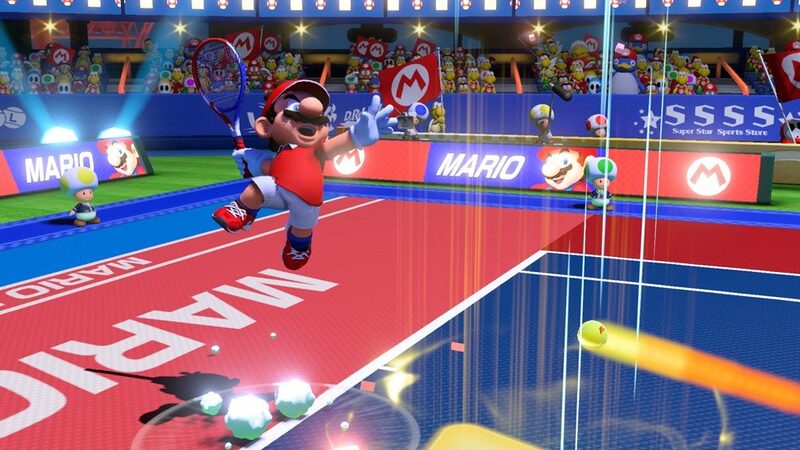 I’m happy to report that Mario Tennis Aces is an exciting new entry for the Super Mario sports brand, complete with a single-player campaign (somewhat reminiscent of the single-player RPG that made the GBA entry so cherished), and a tournament mode comprised of a succession of matches across different difficulty tiers where you compete against the CPU for a variety of cups. Meanwhile, up to four players can play both offline and online in singles and doubles matches. This is one of the best installments in the Mario Tennis series if only for the amount of content it offers. It doesn’t get everything right but regardless, it makes a great addition to the Switch library. Mario Tennis Aces offers up plenty to keep single-players busy, but playing with friends is the reason to buy the game. Mario Tennis Aces is simply put, a superb multiplayer tennis game, maybe the best I’ve played – with interlocking systems that are easy to learn but hard to master. At any given time, you have the option to switch between five basic shots (flat, top-spin, draw, drop, and lob), but it’s the special moves that are the icing on the cake. Special shots are tied to a meter that fills up with every shot fired back at your opponent. You can use your star meter cred on a bullet time effect (which slows down time) or a zone shot which allows you to aim the ball from a first-person view, or a trick shot, which features some dazzling acrobatics. These lightning-fast shots require your opponent to have incredibly fast reflexes and precise timing to return without incurring any harm to his or her racket. Meanwhile, each character has his or her own finisher also known simply as a “Special”. These special moves are without a doubt the best feature of the game since the offensive player must choose between either taking a perfect strike that pretty much guarantees a point or a shot that challenges their opponent to counter and risk damaging their racket. That, in turn, leaves the defensive player to decide between returning the shot (potentially using their power meter to slow time) or surrendering the point. If enough rackets break (which happens often) the opponent is automatically disqualified. That risk and reward factor alone makes this a title worth playing again and again. The plot (for those of you who care) involves Mario tracking down a set of power stones (think, Avengers: Infinity War) stolen by an evil tennis racket named Lucien during the Mushroom Kingdom’s annual tennis tournament. As Mario travels across the world map he must face challenges in a variety of vivid locales, each with a unique court, a set of challenges and a boss fight that makes good use of Mario’s special moves. The adventure mode serves up just the right combination of silly and sly, and while many ideas seem borrowed from other Nintendo properties, it doesn’t overextend its time, knowing when to get off the court. When it comes to tennis games, I’ve always been a huge fan of the Camelot-developed Mario Tennis on the N64, one of the most under-rated sports games of all time and the game credited for introducing Luigi’s evil doppelganger, Waluigi (not to mention, re-introducing Princess Daisy and Birdo). Of course, I can’t go without mentioning the earlier Game Boy Color and Game Boy Color installments which are so beloved by fans. 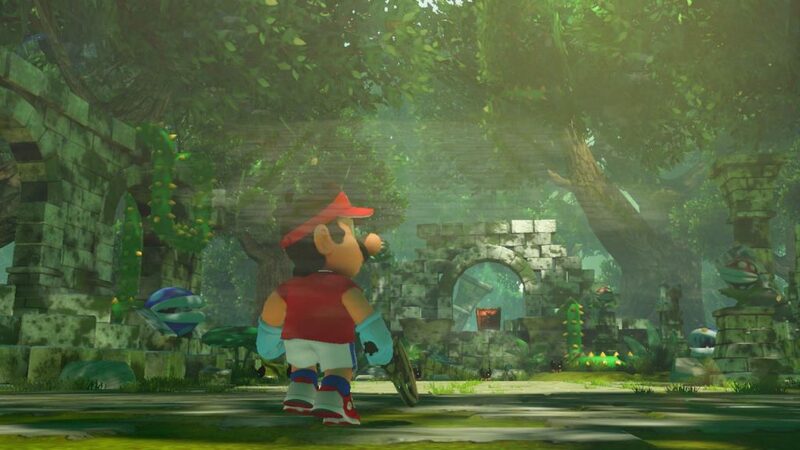 For many of us, we have long waited for the Mario Tennis series to return to its roots, offering a story-based, role-playing mode the originals were famed for. Unfortunately, Mario Tennis Aces in no way recreates, let alone exceeds, any of those games when it comes to the single-player campaign which unwinds like an extended tutorial rather than a compelling adventure. Here, we are burdened with a set of mundane challenges, a lackluster progression system, and a story that unfolds via speech bubbles. Not that I needed cinematic cutscenes but there just isn’t much to the adventure mode since the trappings of role-playing features are disappointingly thin. That’s not to say it’s all bad. 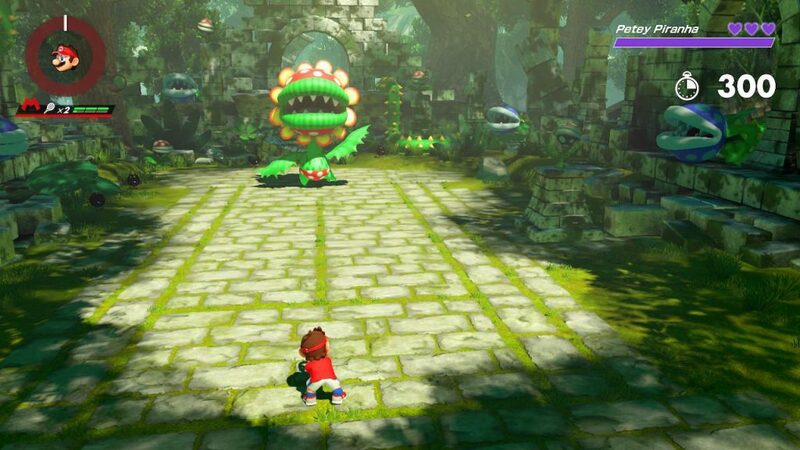 The adventure mode has its fair share of moments such as when you square off against a cursed mirror in a haunted mansion or have to take down Petey Piranha in a heated battle. Meanwhile, a new court will unlock whenever you finish each of the game’s five areas, bringing the total of playable courts to eight. Just don’t expect to unlock any additional characters in single-player mode. According to Nintendo, the only way to unlock new characters is by participating in monthly online tournaments. As mentioned above, Mario Tennis Aces has plenty of content to dig through including Swing Mode which enables you to use one Joy-Con as a motion controller just like the Wii days. The problem with this feature, however, is that it feels imprecise and is not nearly as accurate as the tennis game in Wii Sports. And, while the offline tournament play features three difficulty levels – the standard Mushroom Cup (beginner), Flower Cup (intermediate) and Star Cup (harder) – it is also short, consisting of three matches and features very few options. Note: Online Tournaments weren’t available ahead of the game’s release. One thing I think everyone can agree on is that Mario Tennis Aces looks great. It may not be the first HD game in the series (the first being, Mario Tennis: Ultra Smash for the Wii U) but Aces is far more refined and detailed than its predecessor. Each character is well animated and has their own distinct movements, taunts, special abilities, and playstyle. Putting aside the mediocre adventure mode, Mario Tennis Aces controls so incredibly well, and features such rich gameplay, it guarantees hours upon hours of replayability. It’s the closest we’ve ever got to the classic Camelot developed games we love and played growing up. And more importantly, it offers something those games never had – a potentially successful online experience that might find its own competitive scene.